Form designer will automatically with a blank canvas. 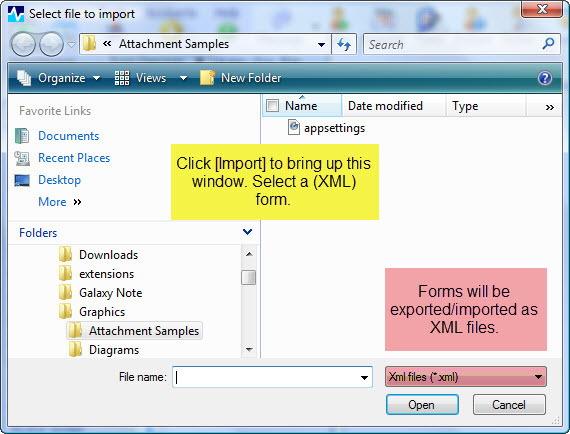 To import or export a form, press the corresponding buttons near the top of the screen. They will be imported/exported as XML files. When you click [Import], a separate window will appear. Choose the form (which will be an XML file) from your computer. When you click [Export], a similar window will appear. Choose where you would like to export the form. Name the (XML) file and click [Save].